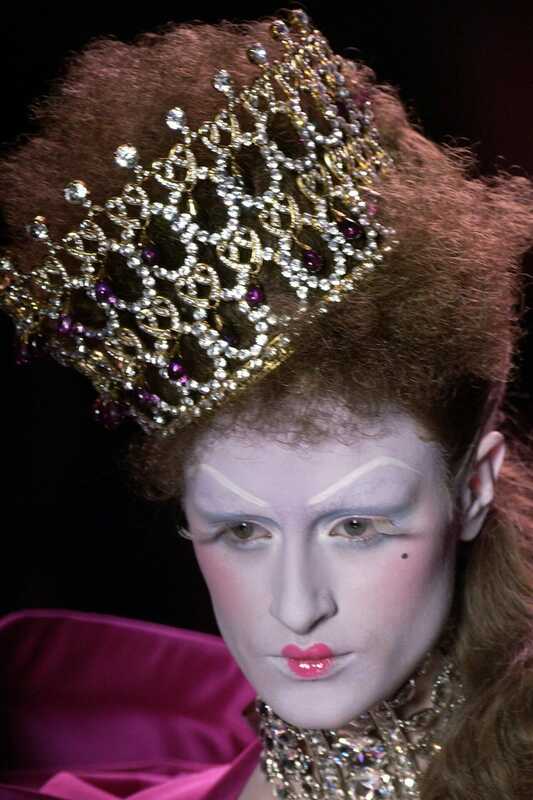 JOHN GALLIANO for CHRISTIAN DIOR HAUTE COUTURE FALL-WINTER 2004-2005. RUNWAY MAGAZINE ® Collections Special Selection “Fashion Treasure”. After Christian Dior, the designer who created great class of French fashion, second remarkable genius of this house was John Galliano, 1996-2011. This collection is dedicated to the costumes, consider Venetian costumes, which are men and women can wear proudly, and be the queens. All details are exaggerated to the point to have your “eyes burned”, and love it to death.